Scientific view on the plastic bag debate by Fraunhofer UMSICHT – European Bioplastics e.V. On the occasion of the International Plastic Bag Free Day at the beginning of July, German-based research institute Fraunhofer UMSICHT published a position paper on plastic bags that looks at the pros and cons of the use of plastic bags compared to other alternatives such as paper or cotton bags from a scientific perspective, in order to shed light on the truths and myths surrounding the increasing negative reputation of the plastic bag in Europe and around the globe. 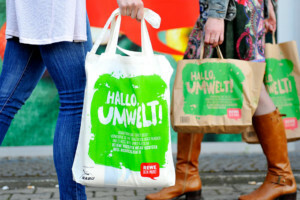 In the position paper, the experts from Fraunhofer UMSICHT point out that that plastic bags have received a high symbolic value in the environmental debates, which obstructs a fact-based and objective discussion on the actual environmental impacts of plastic bags and bags made from other materials. At the same time, a number of independent studies, including life cycle analyses by the British Environment Agency, have shown that paper and cotton bags do not offer specific advantages over bags made of conventional plastic or bioplastics. While multiple use options are the preferred option for all bags (regardless of the material) as re-use has a favourable effect on the LCA, the use of bio-based and biodegradable materials can provide additional benefits and offer an alternative. The use of renewable resources to produce plastics is, according to the experts of Fraunhofer UMSICHT, a crucial necessity and strategic transition that need to be pursued in order to reduce the dependency on fossil resources. The paper also warns against the use of plastic bags made from so-called ‘oxo-degradable’ plastic bags or ‘pro-oxidant additive containing (PAC) plastics’, since they are not considered biodegradable plastics but are conventional plastics that trigger fragmentation and lead to the production of microplastics, which can have serious consequences on the food chain and environment. European Bioplastics welcomes this clear position and has long been warning against the false claims of oxo-degradable plastics. The authors of the position paper reject a general ban on plastic bags. Instead, they say, we should find ways to promote a careful and responsible handling of this everyday product and its efficient recycling. 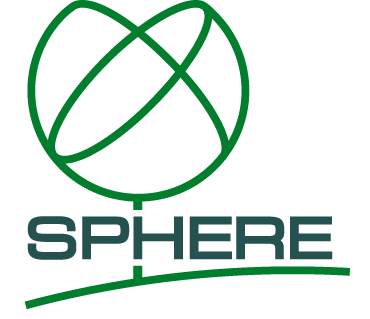 The full position paper can be downloaded on the Fraunhofer UMSICHT website.